Can Trump tweet his way out? Former Republican presidential candidate and current Senator hopeful Mitt Romney once described U.S. President Donald Trump as a “con artist”. Slander and defamation aside, the former governor might have been right. Trump has spent his life trying to sell more than he can deliver, from his Atlantic City casinos that went bankrupt, to his university that went bust. Yet failure never deterred Trump, perhaps because “once a salesman, always a salesman”. Without experience in any kind of government office, and without experience in any job other than owning, and bankrupting, his own companies, Trump ran for presidential election on his “business success”, and promised to deliver similar results for the country. Before the White House, Trump dismissed strong job reports, from the Labor Department, and called them “doctored”. After becoming president, Trump started hailing the same reports as an indicator of his success. The same double-standard applied to almost every aspect of governance under the U.S. president: When things succeed, he claims credit for them even if they were the result of the work of his predecessors. When things fail, he blames his predecessors for his own mistakes and shortcomings. Fact checkers have repeatedly described Trump as the president who has uttered the biggest number of lies. Yet this never deterred Trump from persisting with even more lies. More importantly, Trump’s falsehoods do not seem to have deterred his followers either, little in number as they may be. To date, despite all his proven lies, some with legal ramifications, Trump still enjoys the unwavering support of a core of Republicans, estimated to be one-third of the party’s voters. Given the steady support from his fans, Trump has come to think that his salesmanship is the secret ingredient that has brought him this far, and that can protect him, going forward, against possible entanglements with the law. Trump’s populist tactic means that, in facing any accusations against him and possible indictments, he depends on two things: His diehard supporters, and his vast prerogatives as a president, prerogatives that he has used so far to fire half a dozen senior law enforcement officials who had refused to shutdown investigations into his possible collusion with foreign governments, such as Russia. Together with his impulsive statements and undisciplined tweets, Trump’s chaotic management at the White House has meant that he has not organized any effective legal defense, should investigations reach his doorstep. Instead of trying to counter Special Counsel Robert Mueller, who is investigating into possible Russian interference in America’s 2016 election, Trump has gone after Mueller, and has tried to discredit the special counsel and his integrity. 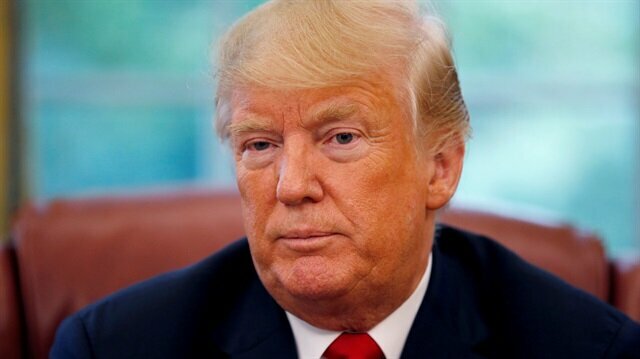 U.S. President Donald Trump criticized Google on Tuesday, accusing the tech giant's search engine yields results that are unfavorable to himself and Republicans. "Google search results for ‘Trump News’ shows only the viewing/reporting of Fake News Media. In other words, they have it RIGGED, for me others, so that almost all stories news is BAD. Fake CNN is prominent. Republican/Conservative Fair Media is shut out. Illegal?" Trump wrote on Twitter.He added that "96% of results on ‘Trump News’ are from National Left-Wing Media, very dangerous. Google others are suppressing voices of Conservatives and hiding information and news that is good. They are controlling what we can cannot see. This is a very serious situation-will be addressed! "The White House Chief Economic Adviser Larry Kudlow later told reporters that the administration will be "taking a look at" the situation.Google's parent company Alphabet issued a statement to that said the search results are not biased. "Search is not used to set a political agenda and we don't bias our results toward any political ideology,” according to the statement. “We never rank search results to manipulate political sentiment.”There are many who believe Trump’s criticism is an attempt to deflect from his response to his handling of the death of Senator John McCain who died for brain cancer Saturday.Trump and McCain had a rocky relationship and the president issued a tersely worded reaction to the senator’s death on Twitter. He then ordered the flags at the White House to be flown at half staff until just past 12.02 a.m. (0402GMT) Monday. Usually, flags are lowered for distinguished senators until after they are buried.Trump's criticism comes less than a day after Fox Business host Lou Dobbs claimed Monday that Google is "banning and suppressing" conservative news from the search results. "Tech Giants Are Crushing Conservatives: 96 Percent of Google Search Results for '@realDonaldTrump' News Are from Liberal Media Outlets," Dobbs wrote Sunday on Twitter.The "96 percent" figure comes from Paula Bolyard, an author for American conservative news, opinion, and commentary website PJ MediaBolyard said Saturday she performed a Google search for "Trump" using the search engine's news tab, and then analyzed the results using journalist Sharyl Attkisson's media bias chart.Attkisson's chart places various American media outlets on a political spectrum that extends from center to left and right. What Trump has missed is that Lady Justice covers her eyes, while holding the scales, for a reason. Justice was designed to proceed regardless of popular opinion, and even though the president is technically the chief law enforcer, his power has limitations, mainly due to America’s decentralized system. So far, Mueller has outsmarted Trump on many fronts. First, unlike the chatty Trump, Mueller has remained silent, and has run a tight ship of investigations without leaks. Second, Mueller realizes that Trump has authority to pardon the indicted and dismiss prosecutors, but Trump’s power is over federal law-enforcement only, and does not cover state law-enforcement. Henceforth, the special counsel has collected enough convicting evidence and handed them over to local state prosecutors. Brett McGurk, U.S. President Donald Trump's special envoy for the fight against Daesh, met with Iraqi leaders on Tuesday with a view to expediting the formation of Iraq’s next government.The talks come one week before parliament holds its first session on Sept. 3, during which a new assembly speaker -- along with two deputies -- will be chosen.According to an Iraqi Foreign Ministry source, McGurk's visit is aimed at convincing Iraqi political parties and groups to “expedite the process of drawing up a new government”.Iraqis in Basra stage sit-in to protest water pollutionThe source, who spoke anonymously due to restrictions on speaking to media, could not say how long McGurk planned to stay in Iraq.Earlier Tuesday, McGurk met with Iraqi Vice-President Osama al-Nujaifi, a possible candidate for the post of parliamentary speaker.In a subsequent statement, al-Nujaifi’s office said that the meeting -- which was also attended by U.S. Ambassador to Iraq Douglas Silliman -- had tackled “the latest political developments and ongoing talks aimed at forging a majority bloc in parliament”. Iraqi president convenes new parliament for Sept. 3According to the statement, al-Nujaifi had also stressed the importance of implementing a viable government program and providing the public with adequate services.On Monday, government officials announced that Iraq’s recently-elected parliament would convene its first session on Sept. 3.According to Iraq’s constitution, the assembly will then have 30 days to elect -- by a two-thirds majority -- the country’s next president.The new president will then task the largest bloc in parliament with drawing up a government, which then must be referred back to parliament for approval. So far, the cases of Trump’s lawyer Michael Cohen, his confidant and publisher of the National Enquirer David Pecker, and his Chief Financial Officer at the Trump Organization Allen Weisselberg, have been litigated at the local state level. This means that even if Trump were to dismiss Mueller, these cases will not be interrupted. The only case remaining in federal hands is that of Trump’s former presidential Campaign Manager Paul Manafort, who was indicted in a case of tax fraud, on eight out of 18 counts. Manafort awaits a second trial pertaining to his connections with the government of Ukraine. While Trump thinks that he can pardon Manafort and end his trials, most law experts believe that a presidential pardon cannot stop state prosecutors from picking up where Mueller was interrupted. Among the four big Trump associates who have been flipped, indicted or have entered a plea deal, only Manafort stands out as the one who was not close to Trump before the 2016 presidential campaign. This might have convinced Mueller that while other associates of Trump were guilty, in some form or another, Manafort deserves special attention for being an outsider, someone who was introduced to the Trump team by a foreign government. Based on speculation only, it seems that Mueller believes that Manafort holds the keys to the alleged Trump collision with Moscow. Trump has already tried to preempt any findings. He has said that “there was no collusion with Russia, and even if there were, nothing in the law prohibits it,” a disputed interoperation of the law. If collusion is ever unveiled, the U.S. president will face a host of criminal accusations, including under laws such as the Espionage Act. Trump has also been the first to utter the word impeachment. In an interview with Fox News, Trump threatened that if he were impeached, the stock market would collapse and every American would become poor. While it remains hard to substantiate Trump’s economic argument, the U.S. president might have chosen to mention impeachment as yet another way to rally his supporters against the investigation. Trump might eventually fire Mueller, in addition to the top brass at the Justice Department, in order to derail the investigation. But so far, it seems that such tactics have done little to stop justice. If the U.S. president is to stand a chance in proving his innocence, he will need to play the legal game according to the known rules: Hire a team of top lawyers and ask them to counter the formidable Mueller team. Anything else does not seem to be working in Trump’s favor, and may threaten his stay in the White House. Twitter may prove inadequate for saving Trump out of his legal trouble.